Bangalore: 9th February, 2017: India’s leading and most preferred footwear brand, Bata announced its financial results for the third quarter ended December 31, 2016. The Company’s Q3 turnover & Profit before exceptional item (VRS at Faridabad unit) & tax, stood at INR 640.2 crores and 77.9 crores, respectively. The quarter focused on strengthening its omni-channel presence and a wider range of products for the contemporary and young consumers through its premium collections. Profit before exceptional item and tax for the quarter ended 31st December, 2016 of INR 77.9 crores has increased by 16% over the corresponding period last year. “Having been the market leader consistently for decades, we shoulder a huge responsibility of exceeding our stakeholder's expectations from our brand. This year, we will be following our dual strategy of driving same store-growth while also adding new stores. We have identified multiple trade areas, covering malls and high street locations, where we will open Bata and Hush Puppies brand stores. On the brand front, Bata's focus is to encompass style and fashion to engage with younger consumers. We are now speaking the language of the youth and our social media presence, blogs, association with Femina Ms. India showcase our take on trends, latest fashion and much-more to keep the brand contemporary." 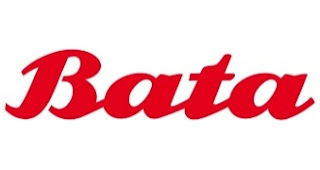 Bata has been holding a unique place in the hearts of Indians for more than 85 years. Probably the only footwear brand that offers footwear and accessories for the entire family, Bata has redefined the modern footwear industry in India. It has established a leadership position in the industry and is the most trusted name in branded footwear. It sells over 50 million pairs of footwear every year and serves to over 120,000 customers almost every day. Bata India is the largest footwear retailer in India, offering footwear, accessories and bags across brands like Bata, Hush Puppies, Naturalizer, Power, Marie Claire, Weinbrenner, North Star, Scholl, Bata Comfit and Bubblegummers to name a few. It retails in over 1,265 Bata stores, on bata.in and in thousands of multi-brand footwear dealer stores pan-India.